How to Rip DVD Dawn of the Planet of the Apes on PC and Mac? Dawn of the Planet of the Apes, the sequel to Rise of the Planet of the Apes (2011), was in theaters in July 11, 2014. But before its unveiling, reviews of Dawn of the Planet of the Apes already trickled in. And the reviews are overwhelmingly positive. 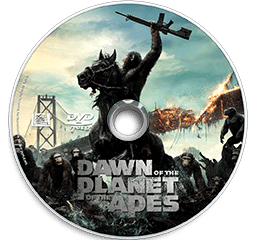 Considering that many Sci-Fi movie addicts long for ripping and copying DVD Dawn of the Planet of the Apes after DVD release on December 2, 2014, this article will mainly focus on how to make use of DVD ripping software to rip DVD Dawn of the Planet of the Apes to MP4, MOV, AVI, WMV and other mainstream formats. How to Rip DVD Dawn of the Planet of the Apes? WinX DVD Ripper Platinum - Rip DVD Dawn to MP4, MOV, etc. Plot summary: The story of Dawn of the Planet of the Apes happens 15 years later after the sequel. This story is closely related with devastating virus all across the globe. Only a small proportion of population survives from the disaster, but they are threatening a growing nation of genetically evolved apes led by Caesar. Although they once reached temporary and fragile compromise, a fierce war between human beings and apes is explosive, for the absolute leadership over the Planet. HitFix.com: "'Dawn' is not just a good genre movie or a good summer movie. It's a great science-fiction film, full-stop, and one of the year’s very best movies so far." The Hollywood Reporter: "Whatever anyone might think about the film as a whole, there is no question that Andy Serkis gives the most expressive, soulful, deeply felt performance of a non-human character … "
Screen Daily: "The sequel to sci-fi franchise reboot 'Rise Of The Planet of the Apes' is heavier on ape-vs-human action than its predecessor and lighter on the kind of intimate drama that three years ago made the reboot a surprisingly affecting late summer hit." 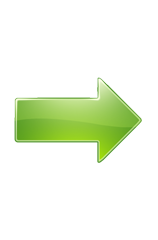 DVD ripper is very helpful in terms of DVD disc preservation and DVD video file backup. If you can rip DVD to MP4, AVI, WMV and others, you can not only enjoy DVD movies via DVD player or DVD driver, but play DVD movie on popular handsets, such as, iPhone 6/6 Plus/5S, iPad Air 2, HTC One M8, Samsung Galaxy, Kindle Fire, WP8. Lots of DVD rippers flood the market, but some of them fail to rip the latest commercial DVDs, Dawn of the Planet of the Apes included. Luckily, here's an option for you to easily rip DVD Dawn of the Planet of the Apes – WinX DVD Ripper Platinum. WinX DVD Ripper Platinum is an advanced DVD ripping program which updates frequently to rip regular DVDs and even the latest encrypted DVDs, like Dawn of the Planet of the Apes, to MP4, MOV, AVI, Android and more. No doubt, DVD Dawn, as a new summer movie in 2014, will be copy protected by encryptions region code, RCE, CSS, Sony ARccOS, UOPs and Disney X-project DRM. WinX DVD Ripper Platinum, however, is capable of bypassing all copy protections and rip DVD Dawn of the Planet of the Apes to common video formats fast without damaging audio video quality. So much for the features of WinX DVD Ripper Platinum, the following post will guide you to rip and convert DVD Dawn of the Planet of the Apes to MP4, MOV, AVI and others for DVD backup and playback on PC/mobiles. Prior to this DVD ripping guide, you're supposed to download and install this DVD ripper for Dawn on your computer firstly. For Mac users, WinX DVD Ripper for Mac is the way to go. Step 1: Insert DVD Dawn of the Planet of the Apes in DVD-ROM and then import it to WinX DVD Ripper Platinum by clicking "DVD Disc". Step 2: Scroll down to select an output profile from the optimal presets. 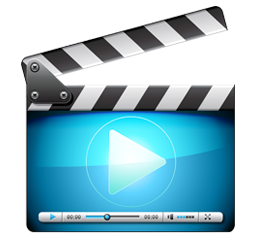 Here, let's choose PC General Video > MP4 Video (MPEG4). Thus, you can play Dawn of the Planet of the Apes on PC smoothly. Step 3: Click "Browse" to specify a destination folder to save Dawn of the Planet of the Apes in MP4. Step 4: Hit "RUN" to perform Dawn of the Planet of the Apes DVD ripping. With embedded "Use High Quality Engine" and support for multi-core CPU (up to 8 cores), you can get a video file of Dawn of the Planet of the Apes with decent quality soon. In the same way, you can fast rip DVD Dawn of the Planet of the Apes to AVI, MOV, WMV and other PC/Mac general videos. Compared with portable devices, computers are heavier and inconvenient to carry. 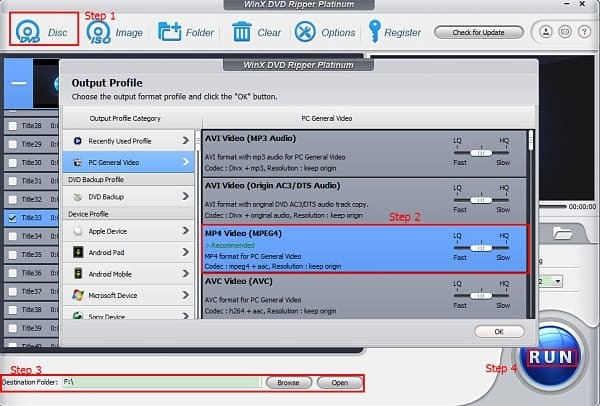 So if you want to play DVD movies on the go, you can use WinX DVD Ripper Platinum to directly rip DVD to iPhone, iPad, Google New Nexus, Samsung Galaxy supported video formats. Please note that the software developer only advocates ripping DVDs for personal use and suggests referring to the DVD copyright laws in your countries before doing so. WinX DVD Ripper Platinum - Rip DVD movie Dawn of the Planet of the Apes for PC/Mac/iPhone/iPad/Android phones & tablets for playing on the move.